Henry Buller works principally in the area of non-human geographies, notably animal geographies. He is involved in a number of national and international research projects and professional activities that seek to bring a critical social science understanding to the issue of farm and working animal welfare in contemporary production systems and food supply chains. He also works on issues of wild species re-introduction and upon the conceptual and methodological approaches to social science framings and understandings of human/animal interactions. Henry is currently leading a major collaborative 4-year research project (DIAL 2017-2021), funded by the ESRC and other agencies, into the innovative use of diagnostic procedures in farm animal health to reduce antimicrobial use in livestock agriculture. He is also completing, as Co-I, a three-year EU funded consortium research project entitled ‘Hennovation’, exploring innovative practice-led solutions to welfare issues in laying hen production. Henry is Visiting Professor at the Department of Animal Environment and Health, Swedish University of Agricultural Science (SLU), Uppsala. Henry Buller has written and published widely on animal geographies, animals in the food sector and farm animal welfare, including a series of commissioned research reviews on ‘Animal Geographies’ for the journal Progress in Human Geography. He is co-author of the recently published book ‘Food and Animal Welfare’ (Bloomsbury Press, 2018) and is a contributory author to the Routledge Handbook of Human/Animal Studies and the Edinburgh Companion to Animal Studies. Henry Buller was until recently an appointed member of the UK’s Farm Animal Welfare Committee (FAWC) and Chair of the FAWC/Defra Welfare at Killing group. Henry Buller came to Exeter in 2003. Having worked at Oxford Polytechnic in the 1980s, then at the CNRS Groupe de Recherches Sociologiques at the University of Paris 10 at Nanterre, Henry was, Maitre de conférences at the Department of Geography, University of Paris VII from 1990 to 2001, during which time he was also Director of the DESS ‘Espace et Milieux’ at that University. He was Professor of Rural Studies at the Countryside and Community Research Unit of the University of Gloucestershire (2001-2003). Over the last 20 years, Henry Buller has held a large number of research awards from a wide variety of funding bodies including the ESRC, the French Environment Ministry, the European Union, the French CNRS and others. He has undertaken research for a number of government departments and agencies and other bodies including MAFF/DEFRA, the Countryside Agency, the National Audit Office, the Forestry Commission, the OECD, the RSPCA and a number of local government bodies in Britain and in France. PI: Constructing Quality - an EU funded Welfare Quality sub-research project into on-farm animal welfare assessment procedures within farm assurance schemes in Europe, with Emma Roe of the University of Southampton (2007-2008). 2014-2016 Co-investigator with the University of Bristol School of Veterinary Sciences on an evaluation of the socio-economic aspects of donkey welfare in developing countries funded by the Donkey Sanctuary. 2015-2017 Co-I on EU funded (Horizon 2020) project: 'Hennovation: Practice-led Innovation in Livestock Farming'. Henry Buller is engaged in a number of other research projects and reflections around different aspects of farm and non-farm animal welfare, companion animals, zoos and broader areas of the bio-politics of human/animal relations. PI: ESRC RELU ‘Developing Activities’ award (2005) The construction of interdisciplinary research into the rural economy in France. ESRC Global Environmental Change Research Programme Fellow (1994-1995) investigating The internationalisation of Environmental Policy: a comparative analysis of environmental policy evolution (Award L 320 27 3062). PI: ESRC/NERC/BBSRC Award entitled ‘Eating Biodiversity: an investigation of the links between quality food production and biodiversity protection‘ under the Research Council’s RELU programme (2005-2007) which included research teams at IGER, the University of Bristol and the University of Gloucestershire. PI: Ex Post Evaluation of the Countryside Agency’s ‘Eat the View Programme’, Countryside Agency (2007). Co I: with the French research consultancy AscA, and drawing particularly on the sociology of oganisations and theories of ‘translation’, ‘The integration of biodiversity knowledges and policies into agricultural policy reform in the UK for the French Environment Ministry (2003-2006). Buller HJ (2018). Farming. In (Ed) The Edinburgh Companion to Animal Studies, 100-115. Buller H, Roe E (2018). Food and Animal Welfare., Bloomsbury Publishing. Buller HJ, Blokhuis H, Jensen P, Keeling L (2018). Towards Farm Animal Welfare and Sustainability. Animals, 8, 1-13. Full text. Hockenhull J, Turner AE, Reyher KK, Barrett DC, Jones L, Hinchliffe S, Buller HJ (2017). Antimicrobial use in food-producing animals: a rapid evidence assessment of stakeholder practices and beliefs. Vet Rec, 181(19). Antimicrobial use in food-producing animals: a rapid evidence assessment of stakeholder practices and beliefs. Food-producing animals throughout the world are likely to be exposed to antimicrobial (AM) treatment. The crossover in AM use between human and veterinary medicine raises concerns that antimicrobial resistance (AMR) may spread from food-producing animals to humans, driving the need for further understanding of how AMs are used in livestock practice as well as stakeholder beliefs relating to their use. A rapid evidence assessment (REA) was used to collate research on AM use published in peer-reviewed journals between 2000 and 2016. Forty-eight papers were identified and reviewed. The summary of findings highlights a number of issues regarding current knowledge of the use of AMs in food-producing animals and explores the attitudes of interested parties regarding the reduction of AM use in livestock. Variation between and within countries, production types and individual farms demonstrates the complexity of the challenge involved in monitoring and regulating AM use in animal agriculture. Many factors that could influence the prevalence of AMR in livestock are of concern across all sections of the livestock industry. This REA highlights the potential role of farmers and veterinarians and of other advisors, public pressure and legislation to influence change in the use of AMs in livestock. Buller HJ (2017). Something Going On. Antennae: the journal of nature in visual culture, 40, 38-45. Full text. van Dijk L, Hayton A, Main DCJ, Booth A, King A, Barrett DC, Buller HJ, Reyher KK (2016). Participatory Policy Making by Dairy Producers to Reduce Anti-Microbial use on Farms. Zoonoses and Public Health, 64(6), 476-484. Full text. Buller HJ, Hoggart K (eds)(2004). Women in the European Countryside. Basingstoke, Ashgate. Buller HJ, Hoggart K (2001). Agricultural Transformation, Food and Environment. Basingstoke, Ashgate. Van Dijk L, Buller HJ, Blokhuis H, van Nierkerk T, Voslarova E, Manteca X, Weeks C, Main D (2019). HENNOVATION: Learnings from. Promoting Practice-Led Multi-Actor Innovation Networks to Address Complex. Animal Welfare Challenges within the Laying Hen Industry. Animals Full text. Rees GM, Barrett DC, Buller H, Mills HL, Reyher KK (2019). Storage of prescription veterinary medicines on UK dairy farms: a cross-sectional study. Veterinary Record, 184(5). © 2018 British Veterinary Association. Prescription veterinary medicine (PVM) use in the UK is an area of increasing focus for the veterinary profession. While many studies measure antimicrobial use on dairy farms, none report the quantity of antimicrobials stored on farms, nor the ways in which they are stored. The majority of PVM treatments occur in the absence of the prescribing veterinarian, yet there is an identifiable knowledge gap surrounding PVM use and farmer decision making. To provide an evidence base for future work on PVM use, data were collected from 27 dairy farms in England and Wales in Autumn 2016. The number of different PVMs stored on farms ranged from 9 to 35, with antimicrobials being the most common therapeutic group stored. Injectable antimicrobials comprised the greatest weight of active ingredient found, while intramammary antimicrobials were the most frequent unit of medicine stored. Antimicrobials classed by the European Medicines Agency as critically important to human health were present on most farms, and the presence of expired medicines and medicines not licensed for use in dairy cattle was also common. The medicine resources available to farmers are likely to influence their treatment decisions; therefore, evidence of the PVM stored on farms can help inform understanding of medicine use. Horseman S, Hockenhull J, Buller HJ, Mullan S, Barr A, Whay H (2017). Equine Welfare Assessment: Exploration of British Stakeholder Attitudes Using Focus-Group Discussions. Journal of Applied Animal Welfare Science, 1-16. Buller HJ (2017). Exuent: Or, When Killability Defines a Life. Catalyst : a Social Justice Forum, 3, 10-11. Full text. van Dijk L, Buller H, MacAllister L, Main D (2017). Facilitating practice-led co-innovation for the improvement in animal welfare. Outlook on Agriculture, 46(2), 131-137. Full text. Horseman SV, Buller H, Mullan S, Whay HR (2016). Current Welfare Problems Facing Horses in Great Britain as Identified by Equine Stakeholders. PLOS ONE, 11(8), e0160269-e0160269. Full text. Horseman SV, Buller H, Mullan S, Knowles TG, Barr ARS, Whay HR (2016). Equine Welfare in England and Wales: Exploration of Stakeholders' Understanding. Journal of Applied Animal Welfare Science, 20(1), 9-23. Palcynski L, Buller H, Lambton S, Weeks CA (2016). Farmer attitudes to injurious pecking in laying hens and to potential control strategies. Animal Welfare, 25(1), 29-38. Full text. Buller HJ (2014). Animal Geographies II: Methods. Progress in Human Geography(Online First), 1-11. Full text. Bock B, Buller HJ (2013). Healthy, happy and humane: evidence in farm animal welfare policy. Sociologia Ruralis, 53(3). Wathes CM, Buller H, Maggs H, Campbell M (2013). Livestock production in the UK in the 21st Century: a perfect storm averted?. Animals, 3(1). Buller H, Roe E (2012). Co-Modifying Welfare. Animal Welfare, 21, 131-135. Buller H (2012). One Slash of Light, then Gone”: Animals as Movement. Etudes Rurales(189), 139-154. Roe E, Buller H, Bull J (2011). Using your eyes and ears: the performance of on-farm welfare assessment. Animal Welfare, 20(1), 69-78. Buller H (2010). Palatable Ethics. Environment and Planning A, 42, 1875-1880. Buller HJ (2009). The lively process of interdisciplinarity. Area, 41(4), 395-403. Buller HJ (2008). Safe from the wolf: biosecurity, biodiversity and competing philosophies of nature. Environment and Planning A, 40(7), 1583-1597. Buller HJ, Cesar C (2007). Eating well, eating fare: farm animal welfare in France. International Journal of Sociology of Food and Agriculture, 15(3), 45-58. Ilbery, B, Morris C, Buller HJ, Maye D, Kneafsey, M (2005). Process and Place: Reconnecting producers and consumers through the marketing and labeling of ‘difference’. European Urban and Regional Studies, 12(1), 63-79. Buller HJ, Morris C (2004). Growing goods: the market, the state and sustainable food production. Environment and Planning A, 36(6), 1065-1084. Buller HJ (2004). The 'espace productif', the 'théâtre de la nature' and the 'territoires de développement local': the opposing rationales of contemporary French Rural Development Policy. International Planning Studies, 9(2-3), 101-119. Buller HJ (2004). Where the wild things are: the evolving iconography of rural fauna. Journal of Rural Studies, 20(2), 131-141. Buller HJ (2003). De la terre au territoire: the reinvention of French rural space. Modern and Contemporary France, 11(3), 323-334. Buller HJ, Morris C (2003). Farm animal welfare: a new repertoire of nature-society relations or modernism re-embedded?. Sociologia Ruralis, 43(3), 216-237. Morris C, Buller H (2003). The local food sector: a preliminary assessment of its impact in Gloucestershire. British Food Journal, 105(8), 559-566. Lowe, P, Buller HJ, Ward, N (2002). Setting the next agenda ? British and French approaches to the second pillar of the Common Agricultural Policy. Journal of Rural Studies, 18(1), 1-17. Wilson, G, Buller HJ (2001). 'The use of socio-economic and environmental indicators in assessing the effectiveness of EU agri-environmental policy. European Environment, 11(6), 297-313. Buller HJ (2018). Public Opinion and the Retailer: Driving Forces in Animal Welfare. In Butterworth A (Ed) Animal Welfare in a Changing World, Walingford: CABI, 100-107. Buller HJ (2017). Animal Geographies. In Richardson D, Castree N, Goodchild M, Kobayashi A, Liu W, Marston R (Eds.) Douglas Richardson (Editor-in-Chief), Noel Castree (Co-Editor), Michael F. Goodchild (Co-Editor), Audrey Kobayashi (Co-Editor), Weidong Liu (Co-Editor), Richard A. Marston (Co-Editor), Chichester: Wiley, 1-8. Buller HJ (2017). Antimicrobial use: Response. In Mullan S, Fawcett A (Eds.) Veterinary Ethics: Navigating Tough cases, Sheffield: 5M, 432-433. 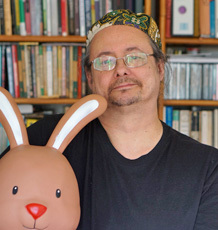 Buller HJ (2016). Closing the Barn Door. In Bjorkdahl K, Druglitro T (Eds.) Animal Housing and Human Animal Relations, London: Routledge, 199-210. Full text. Buller HJ (2014). Reconfiguring wild spaces: the porous boundaries of wild animal geographies. In Marvin G, McHugh S (Eds.) Routledge Handbook of Human-Animal Studies, London: Routledge, 233-245. Full text. Buller HJ (2013). Animal Welfare: from Production to Consumption. In Blokhius H, Miele M, Veissier I, Jones R (Eds.) Welfare Quality: Science and Society improving animal welfare, Wageningen: Wageningen Academic Publishers. Buller HJ (2013). Introducing Aliens, Re-introducing Natives. A conflict of interest for biosecurity. In Dobson A, Barker K, Taylor S (Eds.) Biosecurity: the socio-politics of invasive species and infectious diseases, London: Earhscan. Buller HJ (2012). Greening and Agriculture. In Curry N, Moseley M (Eds.) A QUARTER CENTURY OF CHANGE IN RURAL BRITAIN AND EUROPE, Cheltenham: Countryside and Community Press. Buller HJ (2012). Nourishing Communities: animal vitalities and food quality. In Birke L, Hockenhall J (Eds.) Crossing Boundaries: creating knowledge about ourselves with other animals. Buller HJ (2011). Nourishing Communities: celebrating animal subjectivies through animal feeding. In Birke L, Hockenhull J (Eds.) ‘Crossing Boundaries: creating knowledge about ourselves with other animals’ (provisional title), under negotiation. Jones O, Kirwan J, Buller H, Dunn R, Hopkins A, Whittington F, Wood J (2010). On the alternativeness of alternative food networks: sustainability and the co-production of social and ecological wealth. In Fuller D, Jonas A, Lee R (Eds.) Interrogating Alterity: Alternative Economic and Political Spaces, Basingstoke: Ashgate. Buller HJ (2009). Agricultural animal welfare. In al RKE (Ed) International Encyclopaedia of Human Geography, Oxford: Elsevier, 127-132. Buller HJ, Morris C (2009). Beasts of a Different Burden: Agricultural Sustainability and Farm Animals. In Seymour S, Fish R, Watkins S (Eds.) Transdisciplinary Perspectives on Sustainable Farmland Management, Wallingford: CABI, 135-148. Buller HJ (2009). Du côté de chez Smith : reflections on an enduring research object. In Diry JP (Ed) Les étrangers à la campagne : Quelles définitions ? Quelles représentations ? Quelles approches scientifiques, Clermont Ferrand: Presses Universitaires Blaise Pascal, 35-46. Buller H (2009). What can we tell consumers and retailers ?. In Butterworth A, Jones B, Blokhuis H, Veisier I (Eds.) Delivering Animal Welfare and Quality: Transparency in the Food Production Chain, Wageningen, NL: European Union / Welfare Quality, 43-46. Buller HJ, Morris C (2007). Animals and Society. In Pretty, J, Benton, al TE (Eds.) Handbook on Environment and Society, London: Sage. Buller HJ, Lowe PD (2007). Des agricultures nationales aux campagnes locales : les bases d'une nouvelle coalition pour une réforme progressive de la PAC. In Billaud J-P (Ed) Nouvelles ruralités, nouvelles urbanités en Europe, Brussels: Peter Lang, 413-422. Wood JD, Richardson RI, Scollan ND, Hopkins A, Dunn R, Buller HJ, Whittington F (2007). Quality of meat from biodiverse grassland. In Hopkins JJ, Duncan AJ, McCracken DI, Peel S, Tallowin JRB (Eds.) High Value Grassland, Cirencester: British Grassland Society, 107-116. Buller HJ (2004). Getting between the vertical: Europeanisation of French environmental policy. In Jordan A, Liefferink D (Eds.) The Europeanisation of Environmental Policy, London: Routledge. Buller HJ (2002). Agriculture and the environment: integration or polarisation. In Lenschow A (Ed) Environmental policy integration: the greening of sectoral policies in Europe, London: Earthscan, 103-126. Buller HJ (2001). Is this the European model ?. In Buller H, Hoggart K (Eds.) Agricultural Transformation, Food and Environment, Basingstoke: Ashgate, 1-9. Buller HJ (2009). The environmental impacts of industrial animal agriculture. Buller HJ (2008). Adding Value in Pasture Based systems: reflections on Britain and France. Adding Value in Meat Production’. Buller HJ, Ilbery, B, Maye, D, Morris, C (2007). 'Eat the View': an Evaluation. Countryside Agency, Cheltenham, Countryside Agency. Buller HJ (2006). A review of recent and current French initiatives in rural economy and land use research. ESRC. Buller HJ, Cesar, C. (2006). Retailing Animal Welfare products in France. European Union 'Welfare Quality' Research Project. Buller HJ, Morris, C. White, B, Silcock, P (2003). Cotswold Farming Study. Cotswold AONB Partnership, Cheltenham, Cotswold AONB Partnership. Buller HJ, Morris, C. White, E (2003). The Demography of Rural Areas: a literature review. DEFRA, London, DEFRA. Buller HJ, Winter, M. Morris, C, Dwyer, J. (2002). An Enhanced Role for Forestry in Sustainable Rural Development. The Forestry Commission, Edinburgh. Winter DM, Buller H, Morris C, Powell J, Dwyer J, Hjerp P (2002). An Enhanced Role for Forestry in Sustainable Rural Development., University of Gloucestershire and Institute of European Environmental Policy. Buller HJ, Morris, C. White, B (2002). England's Rural Development Programme. Mid-Term Evaluation: Lessons from the Land Management Initiatives programme. Countryside Agency, Cheltenham, Countryside Agency. Buller HJ (2002). Europe's Rural Futures: France. Wildlife Fund for Nature, Wildlife Fund for Nature. Buller HJ (2002). Management and protection of. NATURA 2000 sites in EU Member States. Scottish Natural Heritage, Edinburgh, Scottish Natural Heritage.